Instant Polenta Twelve Vacuum Packed Bags 17.6 Oz Nt Wt Ea. 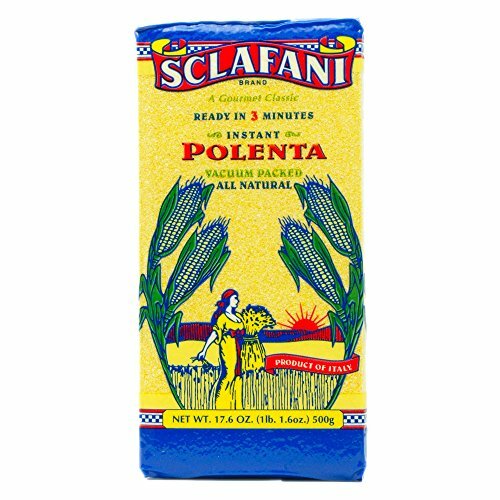 Corn Meal Polenta Gus Sclafani Corporation founded in Connecticut persistently seeking the finest Italian Food since 1911. Still operated by the very same family to bring the highest quality food products to your doorstep. View More In Polenta Meal. If you have any questions about this product by Gus Sclafani Fine Italian Imports, contact us by completing and submitting the form below. If you are looking for a specif part number, please include it with your message. Polenta Magica 500 g./ Corn Meal 1.2 lb.